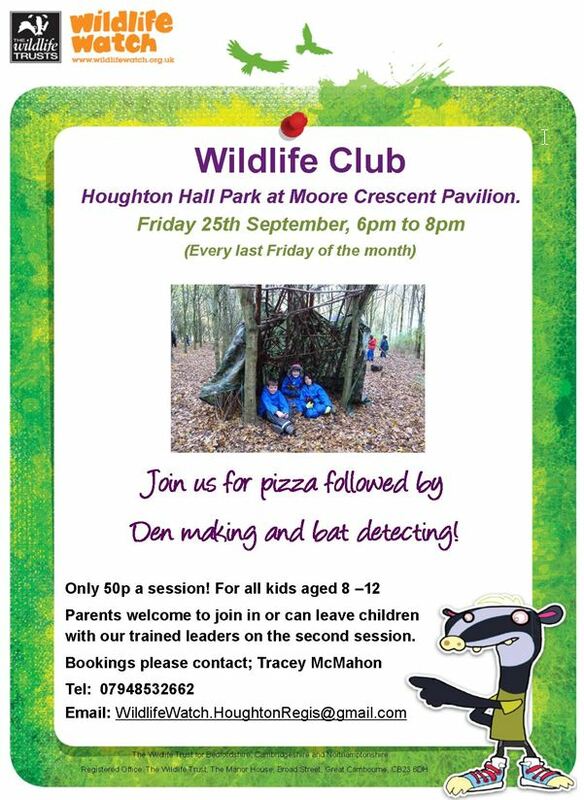 BBOWT have asked us to publicise their Wildlife Watch Club on Friday 25th September 6pm to 8pm at Moore Crescent Pavilion Houghton Hall Park, Houghton Regis. The evening will start with pizza followed by den building and bat detecting! ( parents welcome to join in too) only 50p per child. Click on the photo on the right to see more details.